Welcome to the Great Ashby Community Centre! 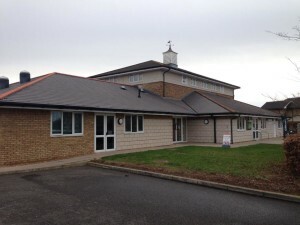 We are a community facility located in the Great Ashby area of Stevenage, Hertfordshire. 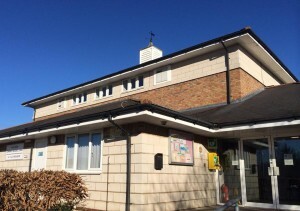 The centre is run by the Great Ashby Community Centre Management Association (GACCMA), a charity dedicated to running the centre for the community that it serves. We are very fortunate to have a modern, clean and warm centre that hosts a broad range of classes and groups both during the day and in the evening, as well as being available to hire for events and parties. 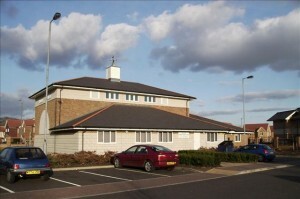 The centre comprises of two halls, a meeting room, a kitchen and toilets. Both halls have their own separate entrances and toilets at either end of the building. The Main Hall is just over 140m², large enough for a badminton court. Hire of this hall can also include the use of the large kitchen, which has a range cooker and fridge freezer. Hall 2 is the smaller of our two halls. It contains a kitchenette with sink and fridge, which allows for drinks and snacks to be prepared. Hire of this space would normally include the Meeting Room (see below), allowing for additional space for your event. The Meeting Room, although often hired with Hall 2, can be separated from it by the use of folding doors.